PRODUCTION TIPS: What is your BRAND as a filmmaker or crew member? One drawback of making shooting and editing technology accessible to the masses is that the field gets crowded with more filmmakers vying for the limited attention of audiences and clients. And while technology has made the field more democratic, it hasn't leveled the pyramidic structure of the movie industry. At the top of the movie industry are the titans like Spielberg, Lucas, Scorcese, Malick, Nolan and all the other A-list Hollywood filmmakers. Below them are the top indie filmmakers like Spike Jonze, Wes Anderson, Jared Hess, Neill Blomkamp, Shane Carruth (you could also add the top directors in television, music videos, commercials and documentaries here). Below them are the filmmakers who have had their films appear in the top film festivals, at least once, and are in a good position to move up the pyramid with their next project. Below them are the filmmakers who have a very good track record overall; a combination of lots of festival screenings, financiers willing to fund their projects and/or steady clients in the advertising/corporate/music/fashion world. Below them are the ones starting to break through in festivals, are getting clients and building buzz. Below that are the ones just starting out. And below that are the wannabes who talk your ear off about the awesome movie they're going to make but never get around to making it. How do the ones in the lower levels of the pyramid hope to compete and make it to the coveted A-list? One plus of working in film is that you can skyrocket up to the top out of obscurity in a short amount of time with a great script and film. But while it's a possibility, it's not a given. More realistically it will take hard work, building relationships and making good films over a period of time. And aside from talent and tenacity, you need a brand identity to stand out. Corporate buzzwords like "brand identity" are anathema to artists. I had a similar conviction before until I accepted a truth you already know deep down in your core: FILM IS AS MUCH A BUSINESS AS IT IS AN ART NOWADAYS, PROBABLY MORESO (and maybe it's always been that way since the silent era). Knowing that doesn't mean you have to sell out your convictions but it does mean that you need to understand how to attract the lifeline of filmmaking: money. And to attract money, it helps to use some of the business principles that others are using to attract and make money. Being an artist is no longer an excuse to remain ignorant of the business of such an expensive artform. First of all, while we see works of art and art making when we think of film and filmmaking, many others simply see products and services. So for the terms of brand building, let's consider film and filmmaking (whether you're the producer/director or a crew member) as products and services, respectively. Second of all, products and services now overlap because services are more and more defined by their products and products are defined by their services. For example, when you think of high fashion or luxury cars or a top writer you presume that the quality and craftsmanship is high and that belief is not shaken unless your experience with it convinces you it's crap. On the contrary, low quality products like things made in China bear the stigma of cheapness and it's hard to overcome that stigma once it's burned in. This relates to film too and, for better or for worse, filmmakers and others in the filmmaking industry (actors, writers, crew members, etc.) are branded as high or low quality types. Note, that it's ok to be low quality in the sense of making B-movie films, for example, IF that's what you're aiming for. (The point is to know that THAT'S what you're aiming for) Finally, while you don't have to be stuck as one type forever since the process of filmmaking allows you to work in different styles, stories and genres, the world still judges you by your products and services and how they are perceived. 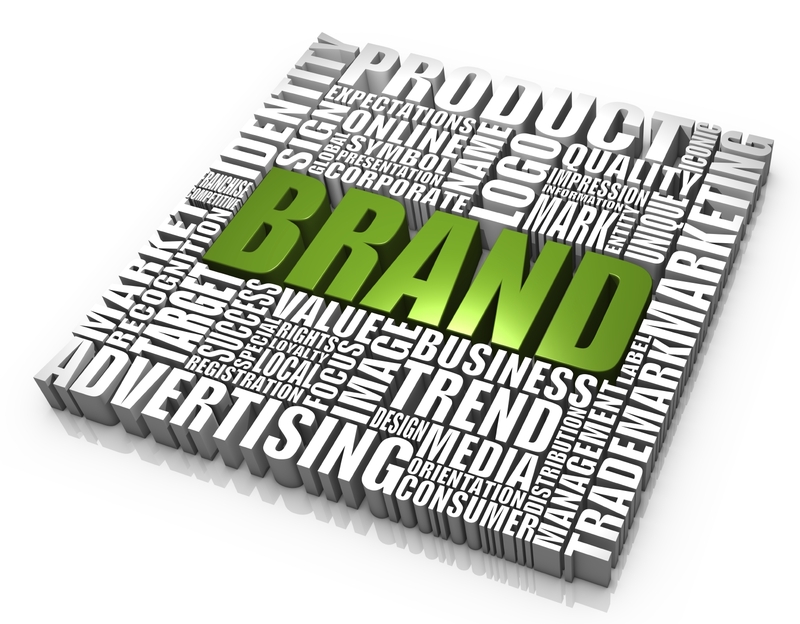 Thus, YOU can take extensive steps to brand yourself in the manner you want. And it's best that YOU do it so that you can stand out from all the other filmmakers and production companies and, also, avoid being branded as something you don't want to be. So how do you differentiate yourself from other filmmakers and production companies? By developing your brand in the tv/film industry, now and for as long as you work in film/tv. For the purposes of your film career, your brand is not just your company's name/your individual birth name/nickname/alterego, logo, reel, website, and/or tagline, it's also the sum of your reputation coupled with people's expectations, knowledge, memories and relationships that taken together account for a client's/employer's/audience's decision to choose your services or product over another. If the consumer (whether it’s a business, a client, an employer, a crew member or an audience) doesn’t hire you, donate to your crowdfunding campaign, choose your movie, work on your crew or spread the word, then no brand value exists for that consumer. (hat tip to Seth Godin) YOUR BRAND STRATEGY MUST CLARIFY AND SPECIFY WHO YOU ARE TO MAXIMIZE YOUR SUCCESS WITH THE CONSUMER. You can do this without compromising your artistic ideals because it's not about subjecting your vision to some Hollywood formula. Instead it's about thinking of your individual's or company's unique value and figuring out ways to make the consumer want it again and again. Generate an exhaustive list of nouns, verbs and adjectives from the 4 ideas your brand should project. Then out of that list, pick out at least 3 things you want your brand to represent. These could form the substance of your tagline or the core of your company statement if you're doing a business plan. In addition, out of that list identify at least 3 values you want your brand to be associated with on a consistent basis when you work with clients, work on the set, and/or engage with your crew/employees. They could also represent the themes of your scripts and movies. This works especially well with genre filmmakers who make horror, action, comedy, etc. and want to establish a niche they want to be known for or corner the market with their brand of films. Under this rubric, the most successful genre filmmaker IMO opinion is Walt Disney; we all know what his brand stands for without thinking twice. behavior - how you behave to and with your crew, peers, clients and the world in person, on the phone and online. So make it a point to make everything you or your company does project a clear idea of what it is as a brand and what your goals are within the 4 main vectors in the film industry. Consistency is the key. Know what aspect of your company predominates within the 4 main vectors and use that to your advantage. Also consider working on your weaker aspects so that your strong aspects are not negated. Rethink your current logo, tagline, reel, website, reputation, personal stories, and name(s) in light of the 4 ideas you are projecting in the 4 environments. How you can improve each of those items or spread their influence to strengthen your overall brand. Think about your audience and how they will react to your brand. Your audience consists of two types: the immediate people and the sought-after people. The immediate people are the people who hire you and/or work for you, under you or with you during every phase of production from development to marketing (paid or deferred). The sought-after people are the people all filmmakers search for after they have made their films; the critics, the festival judges, the general moviewatching audience, the film buyers, etc. Since you as a filmmaker will most likely provide both products and services you will be catering to the immediate people AND the sought-after people. Do not undervalue or throw the immediate people under the bus in your quest for the sought-after people. The immediate people are just as important, if not more important, than the sought-after types because they believe in you before the film gets made and you will need them or their peers again for your next film. Remember CONSISTENCY IS THE KEY. Your brand is determined by your ongoing behavior, whether you're working for a company full time or on a production for a limited time. 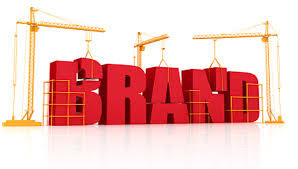 When you work for a company, consider that you will be representing your company's brand and identity as well as your own when you work for them. Can you do so or does it conflict with your ideas, goals and values? If it does conflict, then does working for the company serve your long term needs?